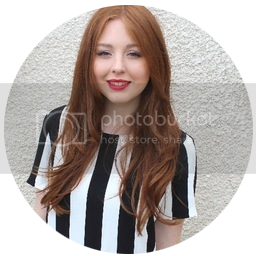 I recently stumbled upon online fashion store The Vintage Set and fell in love. An array of vintage items without the heart wrenching price tag that has become associated with the tag of 'vintage' recently. 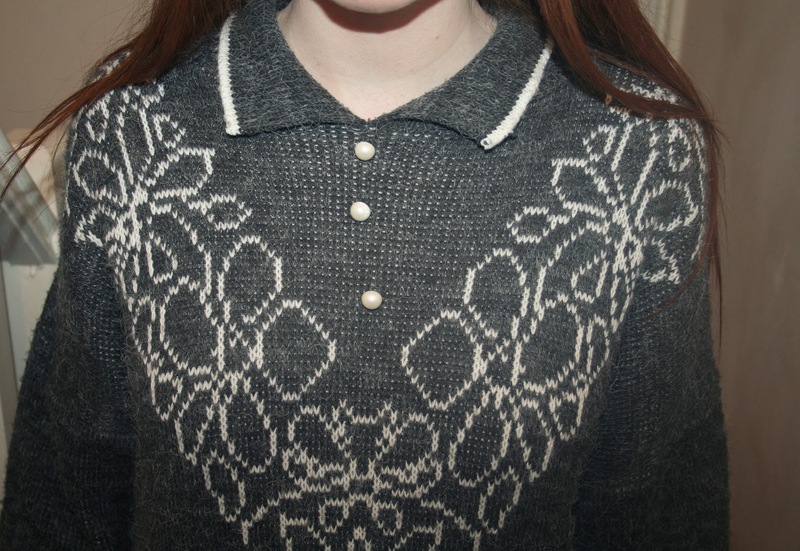 As soon as my order came through I couldn't wait to face the winter winds, proudly, and very snug indeed, wrapped up in this gorgeous grey knit jumper teamed with the cutest pearl button decorations and, of course, a collar neck. Ticked all my boxes! I do love autumn/winter fashion and this has been a very welcome addition to my winter wardrobe, which is currently brimming with all shades of berry and khaki green alongside oversized jumpers and my trusty leather boots. Perfection. Rightio! Back to my box of Kleenex and mug of hot ribena, the winter flu has set in, boo! Anyone else suffering from the dreaded cold and cough? 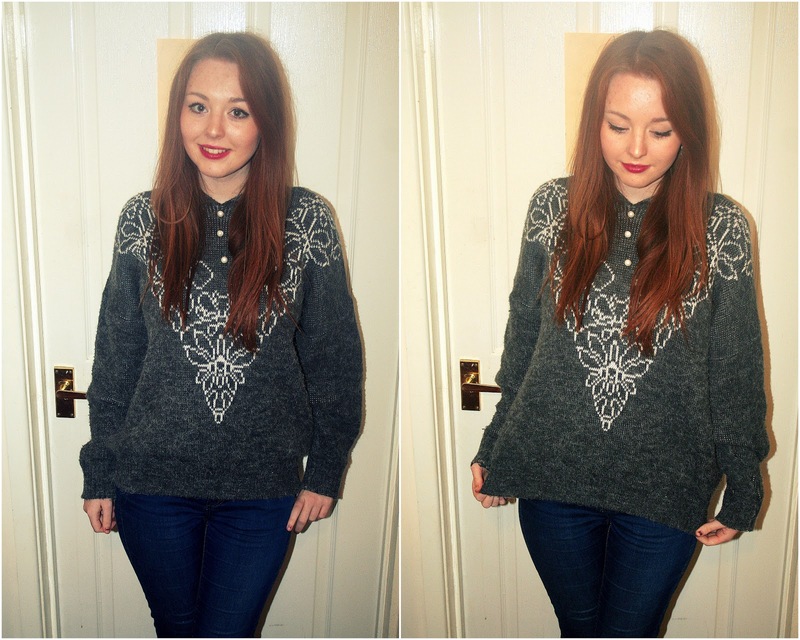 Love the jumper, especially the detail on it! Now following via GFC. Love the jumper! Those little buttons are so cute! 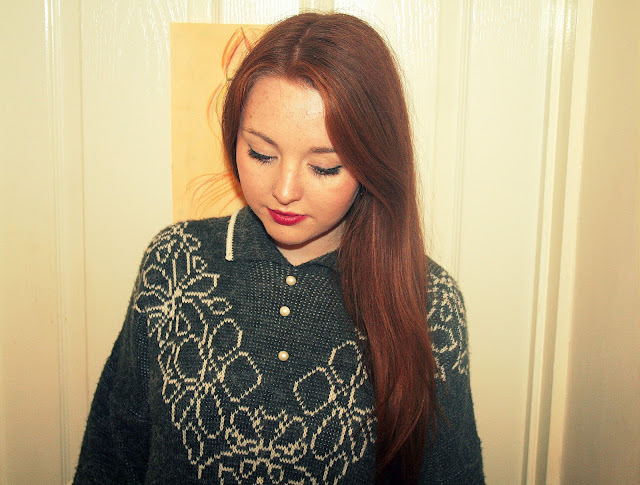 I love that jumper, i love the detailing! I love that jumper! its so cute! so I'm in love with that jumper! Absolutely adore this jumper! Lovely as always!